CAIRO – 31 January 2019: The Golden Jubilee of the Cairo International Book Fair kicked off on Jan. 23, 2019, and according to the exhibition manager at Egyptian General Book Organisation Islam Bayoumi the attendance is significantly high comparing to previous years. 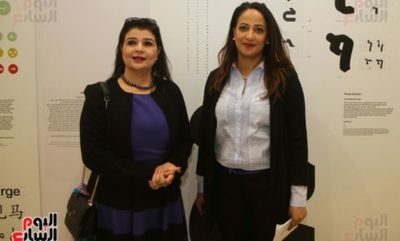 Today,a member of the French Parliament toured the Cairo International Book Fair in the morning of Jan. 31 and attended the Arab Printing section of the French Institute in Cairo. The visit comes within the framework of the Egyptian-French Cultural Year. It is noteworthy that the exhibition of the printing of Arabic letters was designed in Paris by Bibliothèque universitaire des langues et civilizations (BULAC) and the School for Advanced Studies in the Social Sciences (EHESS). The second section of the exhibition "Posters of 1970-1980" will be displayed at the French Cultural Institute in Monira from January 21 to February 5. “Egypt is an immortal fort against spreading terrorism in Europe,” Emilia Garvey, member of the French National Assembly said during her interview with “Extra News” channel on the margin of Cairo International Book Fair. “The Cairo International Book Fair is the place where we can combat extremism; reading books is the best way to destroy and ruin terrorism. Assuring on the deep-relation between France and Egypt”, added the French MP. Moreover, Garvey praised the Egyptian security during the French President’s visit with his wife to Abu Simbel Temples describing it being “armed to its teeth”. “I call all the French Parliamentarians to visit Egypt and I will definitely revisit Egypt soon,” Garvey stated It is worth stating that the Bibliothèque Universitaire des Langues et Civilisations is a major academic library located in Paris Rive Gauche and which has been open to the public since its 2011 opening. The library has a scope that includes all non- western languages and civilizations. 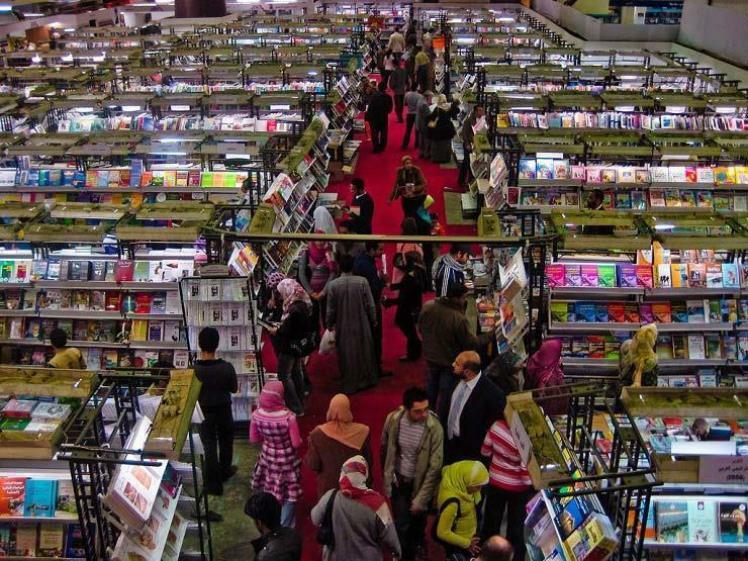 The book fair is held for the first time at the Egyptian International Exhibition Center (EIEC) at the Fifth Settlement district, coinciding with its 50th anniversary. The new venue covers 45,000 square metres, and houses 723 sections. Large numbers of people flock to CIBF since its first day. The fair in its Golden Jubilee is keen to reflect the activities that took place in the last 50 years and provide in its headquarters various logistics including transportation, restaurants, and entertaining facilities for kids. The ticket’s price is reasonable at LE 3.